When it comes to education, MORE matters. Sage College of Albany is an innovative, creative and close-knit coed college offering bachelor’s degrees and several accelerate-to-graduate-degree options, a focus on career preparation, practical experience through required internships, and a unique Literacies of Connection general education program and Innovation Thinking (i.Think) curriculum. One of two Sage campuses and three graduate schools, SCA is home to two art galleries, state-of-the-art science labs, and a simulated trading room, amidst a mix of historic and modern buildings in the University Heights neighborhood of New York’s vibrant capital city. 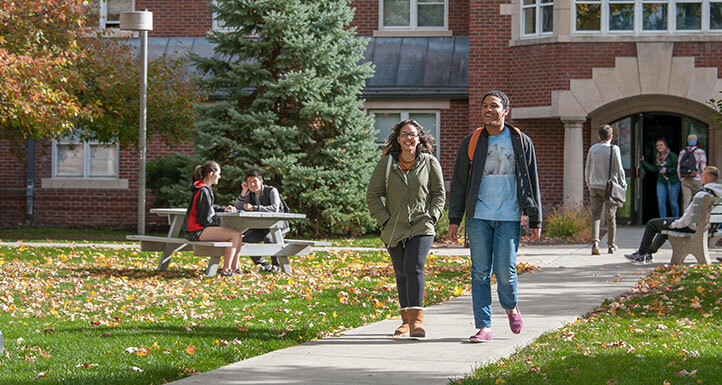 Students can take advantage of nearly 50 degree programs, 15 NCAA Division III sports teams and myriad cultural activities offered on both the Albany and Troy campuses, connected by a short shuttle ride.